British retirement savers experience the ‘seven year rich’ of complete financial freedom when they reach about 58 years old, according to new research. 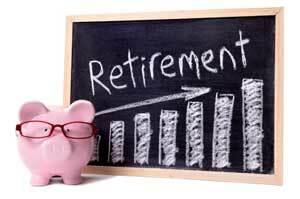 Lasting briefly from 58 to age 65, this is the only time most have paid off their debts and can relax about money before their income drastically drops in retirement. Three out of four over 55s told the Skipton Building Society confessed they had little disposable income for the rest of their lives because of bills, supporting children and paying off a mortgage and other credit. Around 40% are looking forward to a wealthier lifestyle in their late 50s and early 60s as other financial responsibilities drop away. The Skipton’s Tracy Fletcher, said: “This study offers a glimmer of hope for those hard working young people who are currently strapped for cash and can’t see light at the end of the tunnel. “As an adult there will be financial commitments throughout your working life, but you can get to the point, albeit potentially quite brief, where things ease up and you finally have a little money to spend on yourself. “The mid to late 50s can be the point where you stop forking out for your children’s education, cars, weddings and rent. “If you are tied into a 25 year mortgage, this might also be the time when you’ve cleared the balance. The study paints a financial timeline for most adults – starting full time work at 18, settled down with a partner by 24 and having children two years later. They buy a house aged 27 and clear the mortgage by 53. By 52, the children have left home and parents have stopped supporting them a year later. The average over 55 reckons all their debts – loans, credit cards and store cards – will be cleared by age 58, and they intend to retire at 65. After clearing their debts, around 60% plan holidays, while 45% will refurbish their home. Others have simpler tastes – with 30% eating out more and 22% spending more time with friends. Most have saved around £20,000 by their 50s, but 61% wish they had saved more. “Most people were relatively sensible with their spending and savings over the past 30 or 40 years, but despite this are left with just a small window of spending at the end of it all,” said Fletcher.